Last Friday was the perfect day with a cracking event, great group to work with AND weather worthy of a day in June! 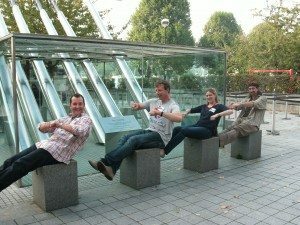 One of the divisions from London 2012 took park in our London Cab Clue Trail commencing from the Crowne Plaza Docklands. In the preparations for this, we had been asked by the client if we could visit destinations where the various Olympic Games Sites will be and of course, we came up trumps with 4 Cab Clue destinations to include the swimming and volleyball categories. We also managed to 2012 the questions slightly with the help of the client so all in all it was a cracking package for the group to take part in! 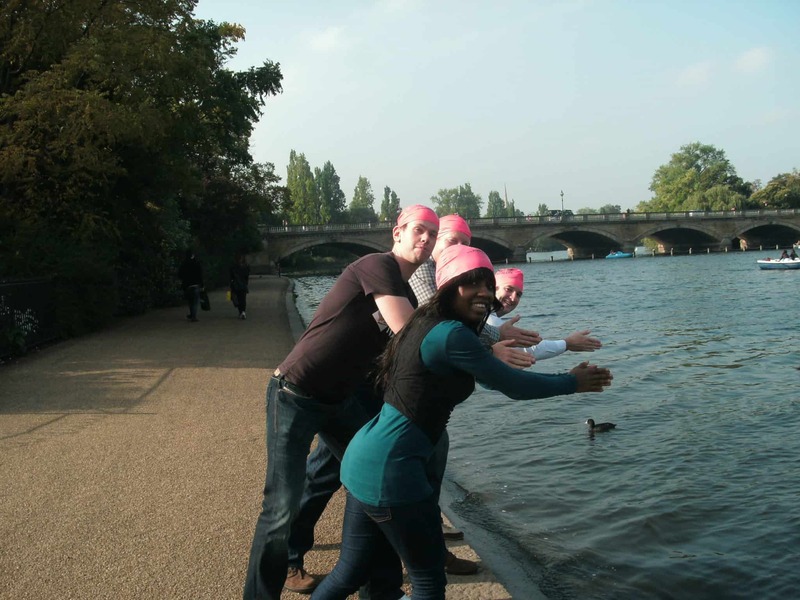 One of the bonus challenges set by the client was for all the team to put on one of the official swim caps and take a photo at the appropriate site and believe me there were some superb clips to look at! I must say that my drivers always arrive with sparklingly clean vehicles and when they are all lined up ready to set off it really does look good! The cabbies we use have been doing this for us for over 7 years now and are incredibly good at getting involved with the group and of course, they wouldn’t be London Cabbies without the perfect patter and witty banter!! The group set off with 3 hours in the glorious weather to complete their task and end the treasure hunt at the final destination of the London Eye. From there, they walked the short distance to the super EV Bar located behind Southwark tube station. It had a great atmosphere with a Moroccan style decor and inviting outside covered terrace. As the teams arrived they had obviously enjoyed the Cab Clue Trail and were eager to find out their score and the winning team. So after a frantic half hour of marking, I announced the winners and the worthy team who, incidentally, were only 236 points off the total amount of points available, they were very pleased with their champagne and miniature London Black Cabs! Thanks to a super group at London 2012 who really got into the treasure hunt with gusto and were a pleasure to work for and of course, my lovely London cabbies!!! A Rather Tense ODI at The Oval!